Don’t be surprised if sometime in the next few weeks you’re filled with the passionate desire to empty your entire apartment, or to pick up and move. Whichever way you go, change is in order and you may as well get it started now. You have a lot of ideas about how you want to live. 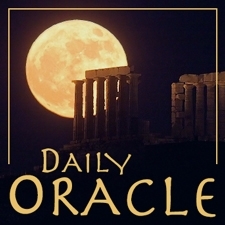 Today’s Oracle takes us to the Pisces monthly for February 2006. Don’t be surprised if sometime in the next few weeks you’re filled with the passionate desire to empty your entire apartment, or to pick up and move. Whichever way you go, change is in order and you may as well get it started now. You have a lot of ideas about how you want to live; and I suspect you’re tired of being cramped into anyplace, anyone or anything. The theme of the month is “making room for yourself” — always something of a challenge for a Pisces. Just keep in mind that, at the moment, play is more important than work.